The EU co-funded project EMPOWER “Support of Patient Empowerment by an intelligent self-management pathway for patients” addresses long-term goals and short-term activities in order to facilitate the self-management of patients with diabetes and thus the treatment of chronic diseases. The EMPOWER consortium comprises the competencies of 7 partners from 5 different EU countries, co-ordinated by Salzburg Research. The project is initiated through its kickoff meeting held in Salzburg, Austria, on February 16-17, 2012. The project will last 36 months, with a budget of 4,28 million Euros, 3,02 million Euros of which is Commission funding. EMPOWER semantically integrates multiple information sources (patient records, diabetes guidelines, patterns of daily living) for a shared knowledge model. The Self-Management Pathways facilitate the specification of recommendations that allow specifying individual goals for the patient. Based on these goals, relevant information and their preferences patients can specify their individual diabetes-specific actions. The Self-Management Pathways are an iterative process where executed actions and reported patterns of daily life can be evaluated. Recommendations, goals and actions can be updated iteratively according to current needs and preferences. The services in EMPOWER will embrace semantic interoperability based on health standards such as HL7 and IHE profiles in order to interoperate with existing health applications. 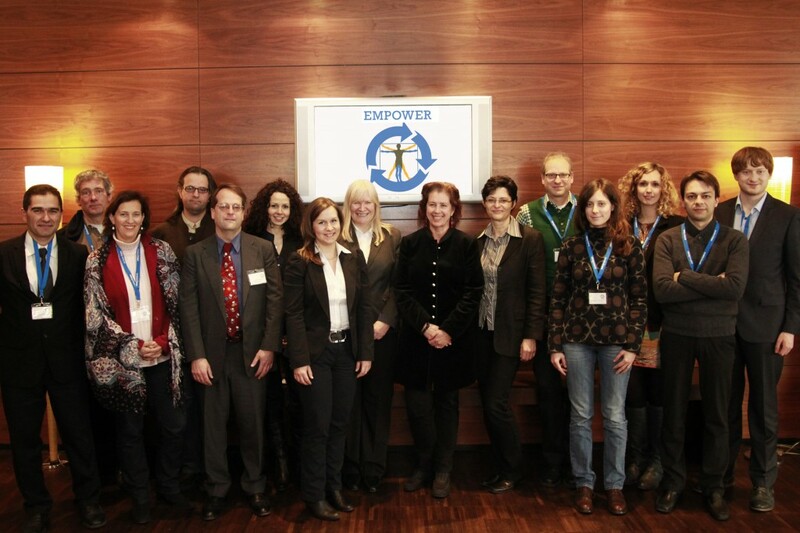 EMPOWER will be evaluated through pilot applications in Germany and Turkey with their different national settings. Each pilot application will cover several scenarios, e.g. supporting young people with diabetes Type 1, supporting elderly people with diabetes Type 2.